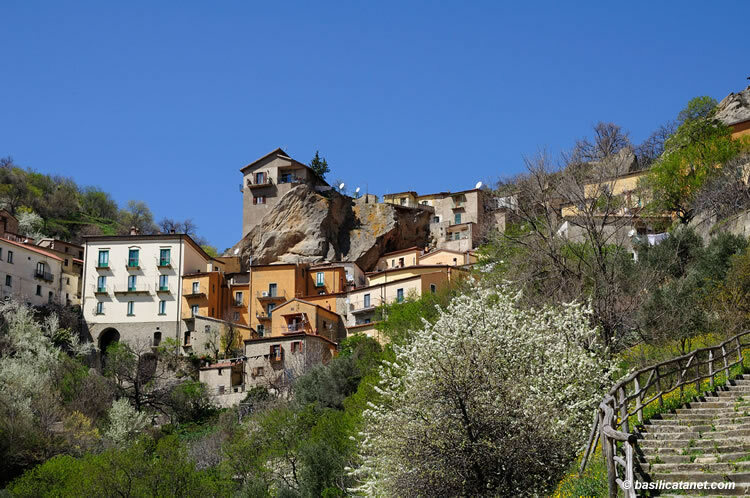 The profile of Dolomiti Lucane bring us toward one of the most mysterious town of Basilicata. Going up to the village, we progressively enter into an inner space made of sandstone rocks, shaped by the weather. 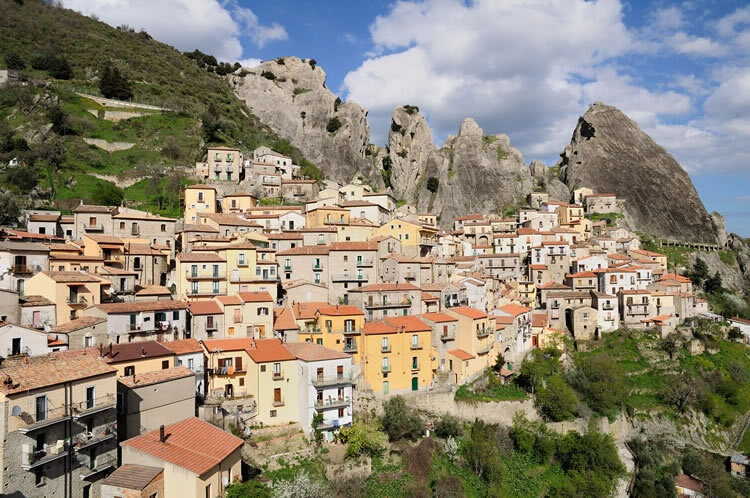 Gigantic natural sculptures silently surround those who enter this ancient history: they are the sentinel of the nature-town of Castelmezzano. Looking at the rocks under particular light and shadow conditions, the popular fantasy gave them strange names, such as Real Eagle, Owl, Great Mother, Anvil, Lion’s Mouth. 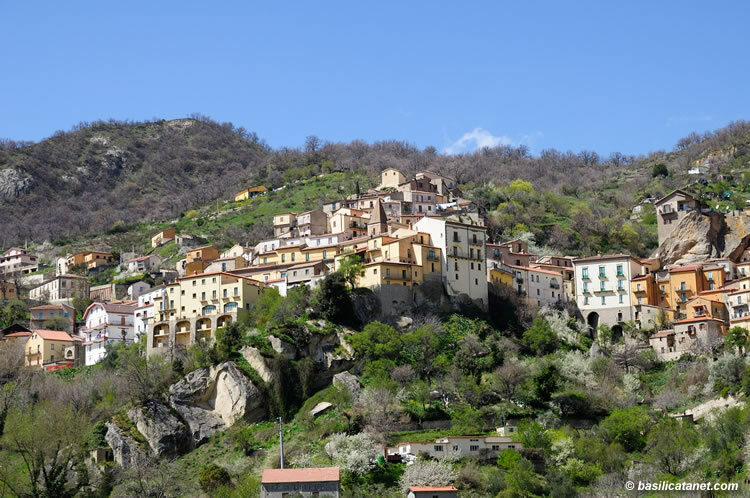 The first population that used these rocks as hiding place, where the Arabs at the beginning of the IX century: they arrived here and in Pietrapertosa, Abriola and Tursi, building these landscape-towns in a way that integrate nature as a resource and ad a defence. 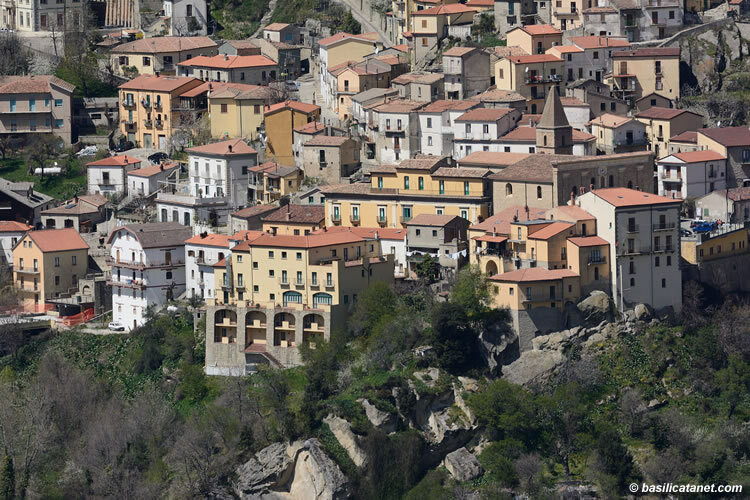 Passing through the natural door of the town, a gallery excavated in the rock, after few curves, we immediately enter the earth of the urban spectacular scene where, from the “belvedere”, it is possible to observe the whole nature-town. Inside the Main Church, dating back to the XIII century, it is possible to admire the “Madonna dell’Olmo” a wooden statue of a Madonna with the Child. Going up through the alleys, it is possible to enter the “Murge”. 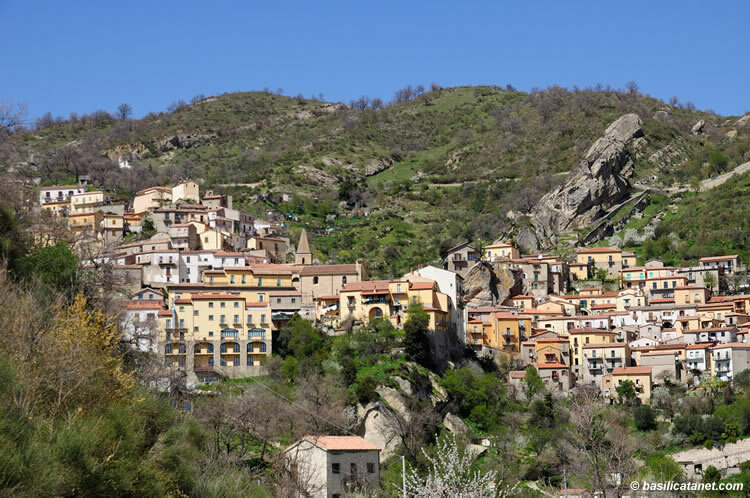 A suggestive stairway excavated into the rocks leads to a lookout post, to the remains of a town wall and to the ancient castle of Castrum Medianum. 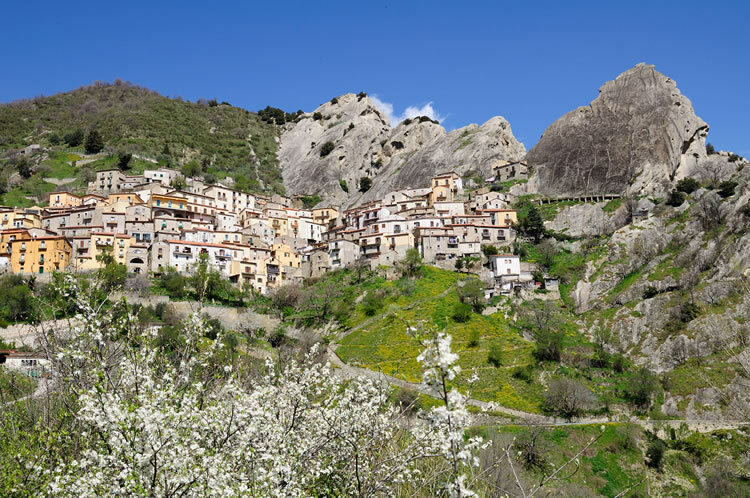 Other paths lead to Pietrapertosa, across a stone bridge dating back to the Pre-roman period, and to the remains of ancient buildings such as stone-mills in the nearby of stream Caperrino.